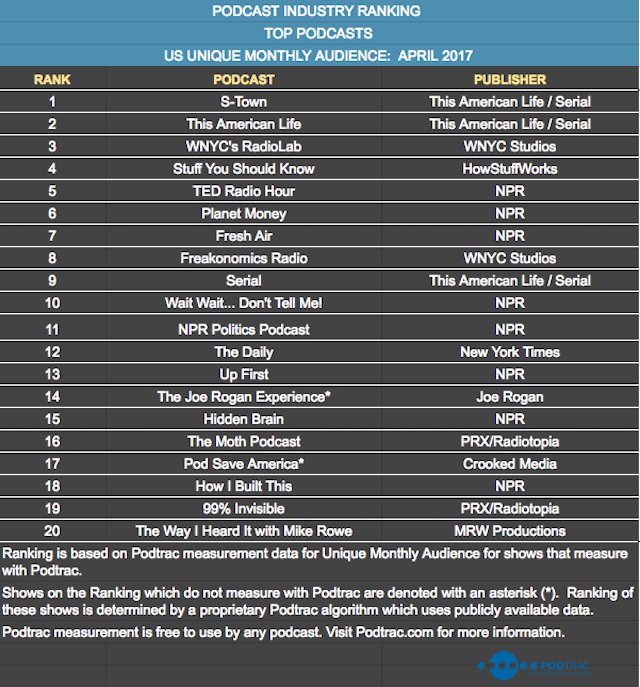 Podtrac has posted its April 2017 rankings of the top podcasts and podcast publishers. 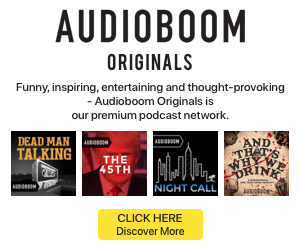 The new hit from Serial Productions, S-Town, took the top spot on the list of podcasts (top chart), and its performance boosted This American Life/Serial to No. 2 on the publisher list (see below). That win for S-Town follows a No. 4 ranking for March, even though the show released in its entirety on March 28. That result shows the potential success for binge-listening rather than following a more common weekly or bi-weekly rollout. Serial dropped to No. 9 for April. Other big changes in the show rankings include the addition of NPR’s Up First show, which knocked out Stuff You Missed in History Class. The publisher list, as usual showed little shifts. The top ten entries have remained the same for several months, with just some shuffles in the number order. 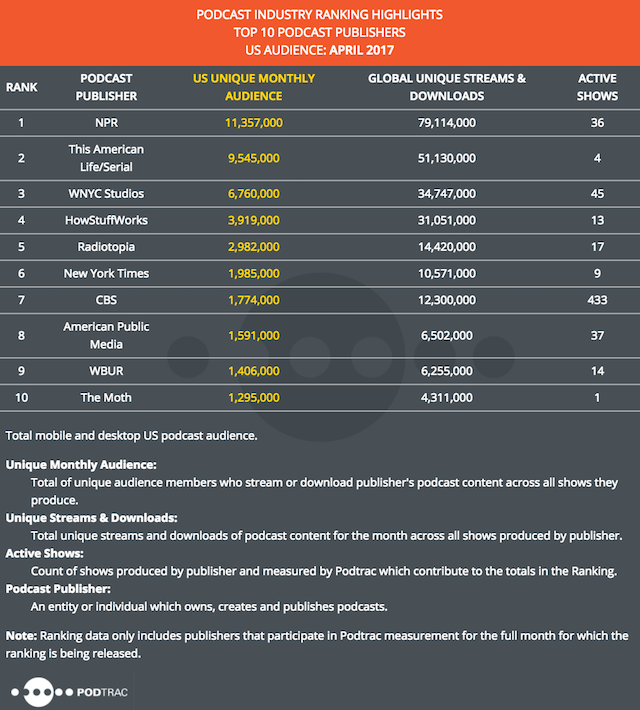 The show rankings are based on Podtrac monitoring data or a Podtrac algorithm applied to publicly available data in the case of non-clients. 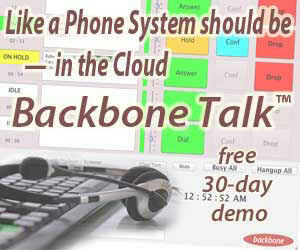 The publisher rankings only include Podtrac clients.